The Northern Willamette Valley is just an hour’s drive from the Portland metro area. This close proximity to Portland, Oregon creates a perfect opportunity for a day of touring Oregon’s wine country with Sea to Summit Tours & Adventures. We set an itinerary with outstanding wine, great hospitality, and beautiful scenery – all the keys to creating unforgettable Willamette Valley Wine Tours! Ponzi Vineyards, Anam Cara, Hawks View, Alloro Vineyards, Rex Hill Winery, Vista Hills, Sokol Blosser, Winter’s Hill, Stoller Estates, Bergström Winery, White Rose Estate, Domaine Drouhin, The Four Graces, Archery Summit, Argyle Winery, Erath Winery, Bella Vida, Torii Mor, Lange Estates, White Rose, Elk Cove, Plum Hill, David Hill, Montinore, Kramer. 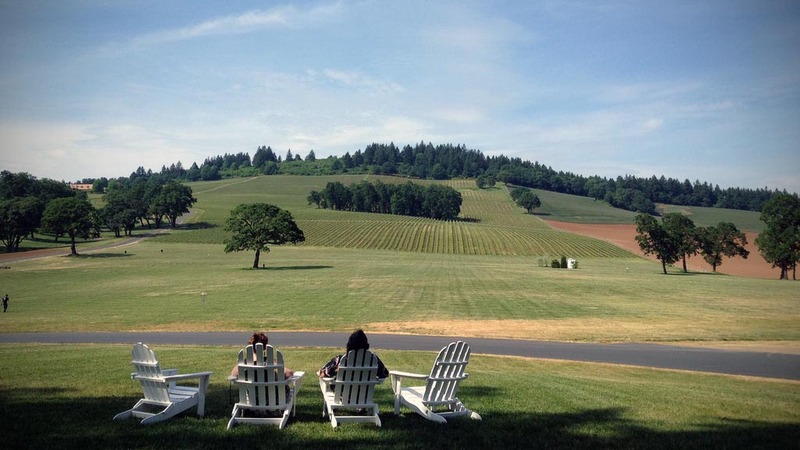 As native Oregonians, we know Willamette Valley Wine Tours better than anyone. Midway between the Pacific Ocean and the Cascade Mountain Range lies Portland, Oregon and the beautiful Willamette Valley wine country. The Willamette Valley is approximately 150 miles long and 50 miles wide, consisting of over 500 wineries and nearly 30,000 acres of Oregon’s wine grapes. Oregon’s Northern Willamette Valley is located in a old volcanic and sedimentary sea bed and this provides excellent drainage for superior quality wine grapes. The combination of soils, coastal marine air, and the temperate climate of Oregon’s Willamette Valley is ideal for cool climate grapes, such as the award winning Oregon Pinot Noirs.